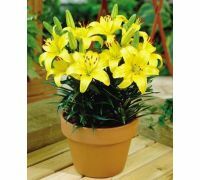 Lily bulbs will present you with flowers that display almost aristocratic flair. 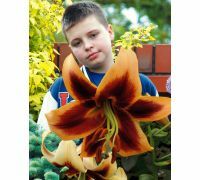 The plants that develop from the bulbs may be tall and majestic, small and charming, subtle and elegant or bright and cheerful. 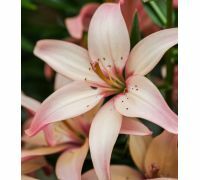 Are you sure you have seen them all? 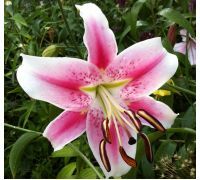 We would like to take you for an exciting journey to the World of Flowers where you will meet a fairy-tale richness of lily species and varieties. 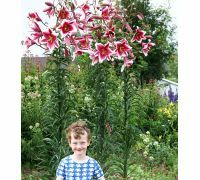 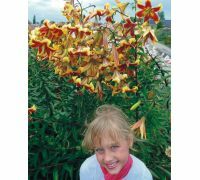 We will start it in the Tree lily spot, where you will find the tallest representatives of the Lillium-genus. 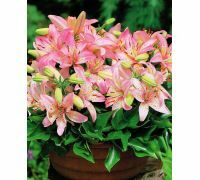 Admire the pastel shades of creamy-white, pink and yellow lilies „Pretty Women”, „Altari”, „Orania” and „Anastasia”. 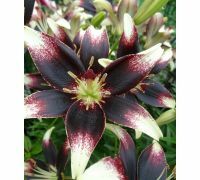 The „Purple Prince”, „Red Morning” and „Mister Job” will surprise you with the intensity of their colours. 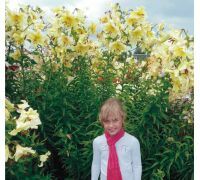 Another stop on our trip are the dwarf lilies in full colour palette. 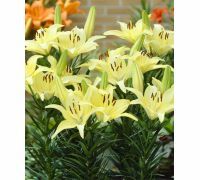 Which one do you fancy the most: the one-colour orange „Abbersville Pride”, white „Ivory Pixie”, red „Sweet Lord” or the spotted „Mona Lisa” and „Muscadet”? 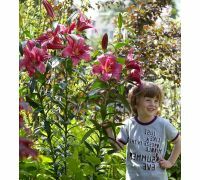 Get to know the trumpet lilies with slender, charming blooms – such as „Pink Perfection”, „Casa Rosa” or „African Queen”, to name only a few. 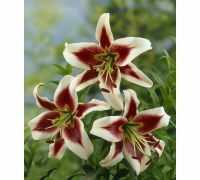 The vividly coloured, dotted tiger lilies, among others „Yellow Tiger”, „White Tiger” and „Red Tiger”, also deserve your attention. 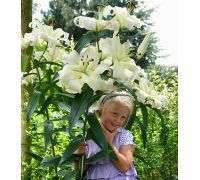 We end our journey visiting Other lilies – oriental and Asian varieties, including the heavenly, crimson-creamy-white „Nettys Pride”, white-dark-pink „Lollypop” and the yellow-orange „Linda”. 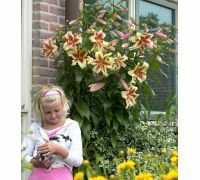 A purchase made in our online garden store provides you with a wide selection of varieties and gives the high quality and low price guarantee. 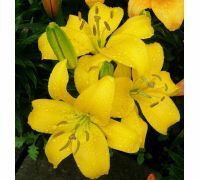 We cooperate with the best lily bulbs producers, what makes your order with us risk-free. 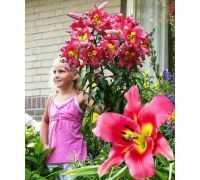 You have all the best Dutch lily bulbs at your disposal! 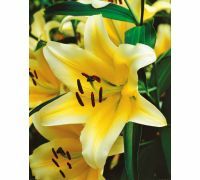 Read plant descriptions, watch the photographs and complete your own collection of the royal lilies.